India, being a federal country, follows a three-tier taxation structure in which taxation rights are distributed among Union government, state governments and local bodies. The Union government controls personal and corporate income tax, custom duties and capital gains taxes, while states have control over land tax, vehicle tax, etc. Local bodies do have a few taxation rights, but they do not have the right to offer tax incentives. In 2017, India introduced the Goods and Services Tax (GST), which subsumed almost all indirect taxes, which were previously levied by central and states government. There are some exceptions, such as custom duties still exist, so do most of the taxes imposed by local bodies. Also, some commodities and sectors have been kept outside the GST regime and previous framework still applies on them. India provides a large number of tax incentives for different objectives — to promote exports, tax rebate on inputs are provided; to promote R&D, a super deduction of R&D expenditure is deductible in tax calculation. For employment generation, a specified proportion of salaries of new employees can be additionally deducted. Units operating in Special Economic Zones (SEZs) get tax refund for indirect taxes and to promote capital investment, accelerated depreciation is allowed. Some sectors, such as agriculture, infrastructure, green field manufacturing, warehousing, oil and gas, and renewable energy also benefit from tax incentives. Due to a prevalence of a large number of incentives, there is a difference between the statutory rate of tax and the effective rate of tax. While the statutory corporate tax rate was 30 per cent, there were additional surcharges and cesses, taking the headline tax rate closer to 34 per cent. 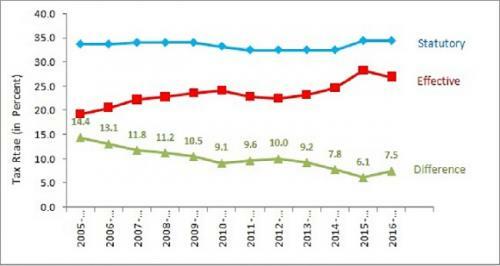 The effective rate has traditionally been significantly lower than the statutory rate. In the last few years, two significant changes have taken place in India with regard to tax incentives. First, in 2015, the government announced that the corporate tax rate would be reduced from 30 per cent to 25 per cent over the next four years, claimed the finance minister in his 2015 budget speech, and that there would be a rationalisation of various incentives and exemptions. Secondly, the GST has changed the structure of many of the above-mentioned incentives related to indirect taxes. For example, the VAT refund for exports has taken the form of a GST refund. Many states are also providing or planning incentives under the new GST regime. The Indian government started publishing the Statement of Revenue Foregone in 2006. This estimate of revenue foregone is intended to indicate the potential revenue gain if all tax incentives (exemptions, deductions, and similar measures) were rationalised. In 2015-16, the methodology to estimate revenue foregone was changed. 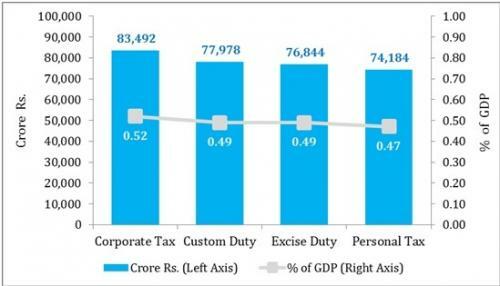 Under the new methodology, incentives in case of indirect taxes (mainly customs duty and excise duty) were divided into two categories – conditional and unconditional. 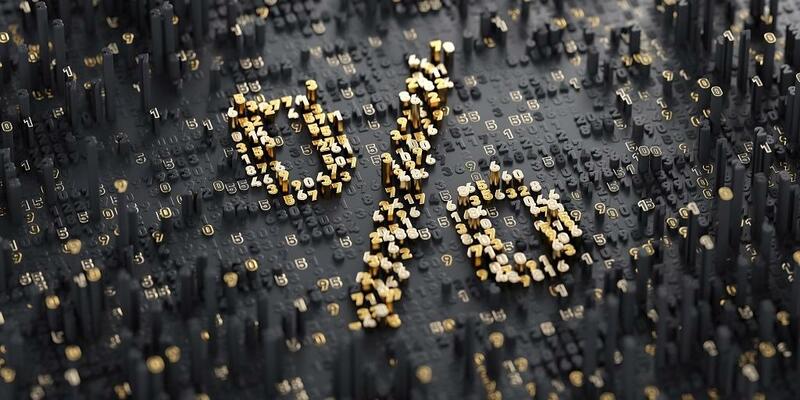 The first refers to those cases when the rate is reduced for a particular commodity without any condition – such cases are no longer categorised as tax incentives. Only the remaining tax incentives, which were conditioned on some other aspect(s), were included in the estimation of revenue foregone. 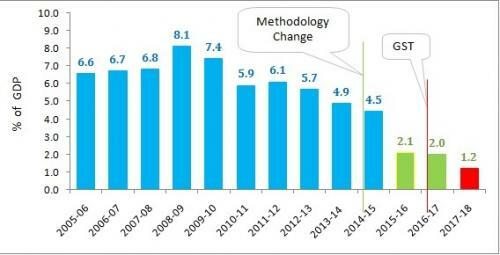 This change in methodology is the reason behind sharp fall from 4.5 per cent in 2014-15 to 2.1 per cent in 2015-16. The revenue foregone from direct taxes however, has remained consistent. The estimation for 2017-18 also does not include the revenue foregone from excise duty, which was subsumedunder GST. However, the revenue foregone from incentives based on GST has not been estimated yet, due to unavailability of data, leading to a further decline in aggregate revenue foregone numbers. This estimation includes all tax incentives offered by the union government – under direct and indirect taxes, as well as to individual tax payers and businesses. 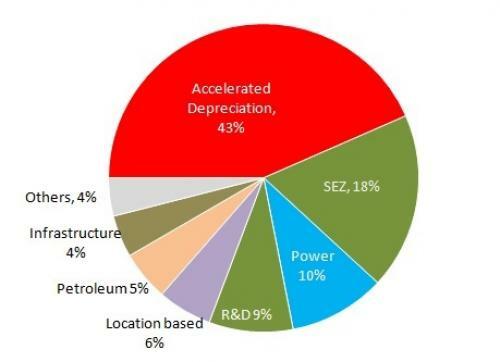 Figure 3 shows the breakdown of revenue foregone into four major components. Tax incentives related to indirect taxes can take two forms — first, where a particular commodity receives tax incentives, and second, where specific tax payers are the recipients of incentives. For example, petroleum imports to India attract customs duty. The government can reduce rates of custom duty for specified petroleum product for a pre-defined period. In this case, the beneficiaries of the incentive are unclear and the benefits accruing to producers and consumers cannot be determined. In contrast, when incentives on indirect taxes are offered to a particular sector, the beneficiaries can be determined. The case where the beneficiaries of incentives on indirect taxes are businesses, such revenue foregone is categorised in the ‘corporate tax’ figure. In cases where the beneficiaries are not known, and the benefits could be divided among businesses and consumers, revenue foregone is included in indirect taxes (customs or excise). The fourth column refers to incentives provided to individual tax payers. The largest source of revenue foregone from incentives offered to businesses is accelerated depreciation. A further sector-wise breakdown is not available, but some of the major beneficiaries of these incentives are solar and wind energy industries. SEZ-related incentives form the next biggest component of revenue foregone from corporate taxes. There are a number of incentives related to SEZs; however, close to 90 per cent of SEZ-related revenue foregone comes from export-promoting incentives. The large amount of revenue forgone related to R&D can be explained by MNCs establishing R&D centres in India, and development of niche industries which are R&D intensive, such as pharmaceutical and information technology. Tax incentives work when their use is properly justified, when they deliver intended short- and long-term results (i.e. attract the right investments and generate social benefits), and when associated costs, both expected and unintended, are economically and socially acceptable. While there have been cases wherein tax incentives work, there is no compelling body of evidence that argues for their benefits in general and the case for most incentives remains doubtful. Empirical research on tax incentives shows that they sometimes help in attracting FDI but are not solely responsible for doing so. Technical soundness and political integrity of decision-making processes of tax incentives regimes are not in place, the risk of adopting and implementing harmful tax incentives. Common reasons for failure of tax incentives are inappropriate justification for its use and faulty design, making them unnecessary, ineffective and not worth the foregone revenue by government. Given the high economic, political and social costs associated with tax incentives, it is essential that tax incentives are underpinned by clear, transparent and credible legal, technical and political processes to deter rent-seeking behaviour. Tax incentives must be justified by their clear link to national development strategy and positive contribution to specific economic and social policy outcomes.Laws should specify the scope and limitations of tax incentives. There must be rules setting clear criteria for determining which investments and firms are qualified to avail of tax incentives. There should be complete transparency on tax expenditures due to tax incentives at all levels of governance, and not just by the Union government. Tax incentives must be subjected to ongoing reviewed and monitoring by government. Right to Information must extend to firms availing of tax incentives.